Hey guys, I’m Jojo and this is my corner! And in my corner I’ll give you the scope on going green, staying fit, and having fun in my everyday activities! hey, mom is right in “go Jamie go” i did get inspired by that. i really want to go to my principal and ask him to let kids do the cooking let them make the menu for at least a week and see if anybody eats it or likes it. did u hear about the “DREAM OUT LOUD” if not i entered and so did my brother and sister and if you want to know what it is all about stay tune. Overcoming Thyroid Disorders by David Brownstein, M.D. is a MUST read book for everyone. Six years ago I was diagnosed with Hypothyriodism and have successfully managed it. Yet, I am amazed at how often thyroid issues are overlooked or misdiagnosed. The thyroid is one that if ignored can cause many other issues or at least make other disorders worse. Check it out it is one of those medical things that NEEDS to be checked! To your health and wellness-Naturally, Jodi! Hola! It is the best that even in Cancun, I can blog! 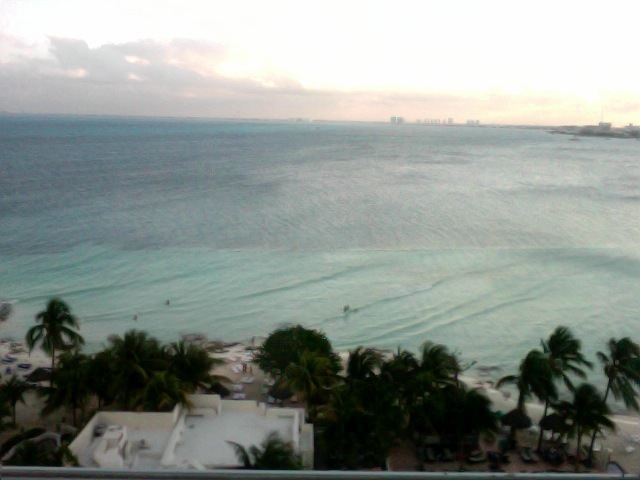 Cancun has inspired my plan for reaching out to you and sharing my little success with Natural Healthcare. I hope to motivate others to learn more about natural healthcare and how it can help them in many ways. I have met some wonderful people on our trip. Big hello to the sisters we met poolside as they started their vacation. Hope you had a great time. I was excited to share with them my success and information on alternative health, books, doctors and success I have had with my kids health. I learned that it is a desire everywhere that women, men, mothers, daughters want to have the chance to seek out all types of healthcare for their families. The plan of being holistic in caring for ourselves is greatly desired. Nature can provide all we need to care and cure, we just need to pay attention! Look forward to more with my kick off of the new look for my blog! How to start a New Year? Re-entry back into the schedules after vacation can be bumpy. Yet having vacation end and a new year start could be a total blow out. How did your year start? I found that I had to allow myself to adjust for about 3 days. All of us slept in late, drove the kids to school and even took an afternoon nap. Was it productive? More than you know. The slower pace allowed for better focus on the to-do & goal lists and re-charged the brain battery. Am I up to full speed yet? NO- but I have my needs & wants arranged in better order then if re-entry would have been a crash & burn situation.